Helping Industry and Agriculture in the Northwest succeed in creating remarkable American value. 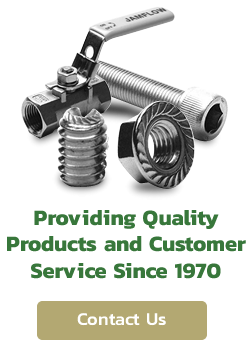 Since 1970, Weaver Distributing has expanded our offering to include an extensive inventory of our full line of over 24,000 fastener products and delivery routes in Central Washington and Southern Idaho. Being a family owned business enables us to provide flexibility and customer service unlike corporate fastener distributors. By focusing on fasteners we can offer exceptional product knowledge and keep our overhead low to deliver the best in pricing. In 2015, the Weavers sold Weaver Distributing to Marc and Barb Gunning. The Gunnings are committed to continuing the tradition of a great family owned business that makes a difference for our customers, employees and the community. Mission: Deliver the undisputed best customer service in the fastener industry at competitive prices and provide a great place to work for our employees. Vision: Help Industry and Agriculture in the Northwest succeed in creating remarkable American value. We conduct our business with Uncompromising Integrity. We focus on a high level of achievement and contribution in Customer Service & Industry Knowledge. We achieve our common objectives through Teamwork. We encourage Flexibility and Innovation.